This project is about building the fastest relay-cpu in the world. Once you have a homebuilt CPU (and also before it is ready), everyone will ask: What can it do ? So it is important to have a good application to show what the CPU can do. That will also give some focus for the design. I took a calculator as application. So the device should have calculator keys and a display. It will be a scientific calculator, using floating point calculations, and capable of logarithms and trigonometric functions. The aim is a speed of a at most a few seconds for add and multiply, and at most 5 to 10 seconds for the scientific functions. and/or capacitor-RAM if the application does not need too much memory. How will the fast speed be accomplished ? Relays are slow, and to get acceptable performance, many measures must be taken. Design in such a way that for executing an instruction a very low number of consecutive switching relays is needed. At this moment, there are only four consecutive switching relays for an instruction. Use small relays, these can be fast (datasheets show 2 msec switching time). Using small relays means they take less space on a pcb, so not much pcb area will be needed. All instruction, register, word and memory sizes are 16 bit. Most instructions operate in a single cycle. There are eight 16-bit registers, one of them is the PC. Six registers can be paired to form three 32-bit registers (like the H and L registers in the 8080 / Z80 ). Many instructions have a 32-bit variant that operates on register pairs (using 2 cycles but single instruction word). It is a 2-operand design, 1 operand is a register and the other one can be register, memory, or immediate. If the immediate is only 8 bits (7bits + sign), it is included in the 16-bit opcode and the instruction executes in a single cycle. Memory addressing always has a small displacement within the instruction opcode, facilitating addressing of variables in a stack frame, or addressing of structure members. Instructions that use this need only a single cycle. 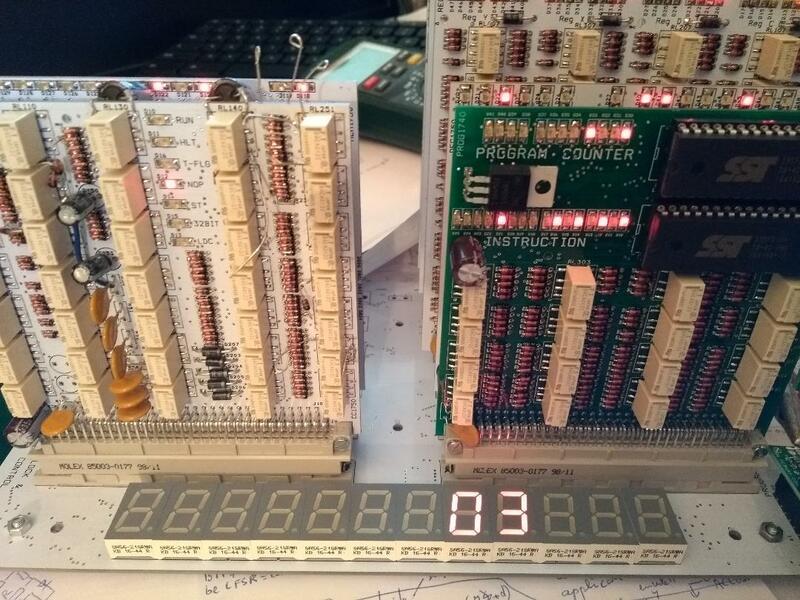 The ALU has also decimal instructions (in addition to the normal binary instructions), to support the calculator functions. There is a special instruction to support (decimal) multiplication. The ALU has special instructions to convert the 4 nibbles in a register to bits that control a 7-segment display. The architecture is independent from the technology, so it could also be used for a TTL or FPGA design. It can be upgraded to a full 32-bit design. Actually, since there are 32-bit register pairs, it would be easy to support a 32-bit address bus. Use of the architecture is free for non-commercial use :), but I would like to get a mail when you are going to use it. Have a simulation. The 4-bit boards have been low-level simulated in Logisim. I do not have a good logisim model for a relay, so the simulation might not catch all problems. Many instructions have also been simulated. Built an assembler and simulator. Simulating the application before the design is finished gives a chance to optimize the CPU for the application. Have a test strategy, and test. 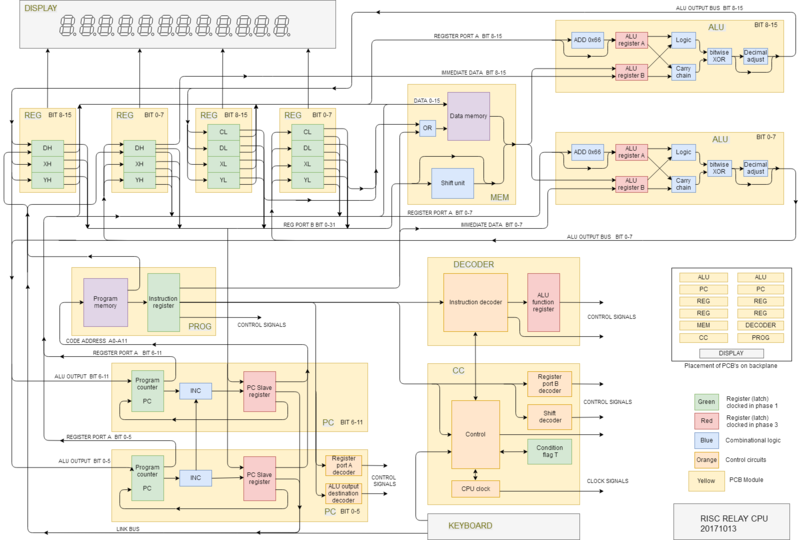 The block diagram also shows which functions the PCB&apos;s and the backplane contain. 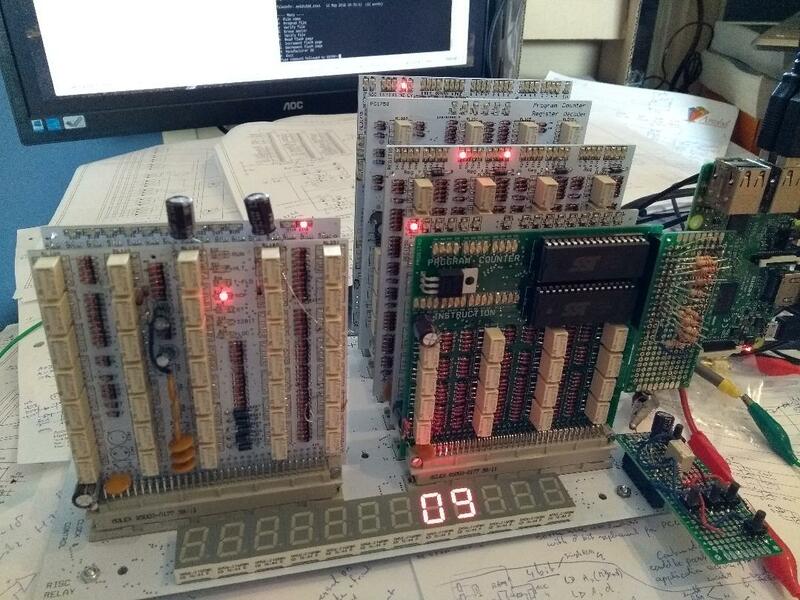 The software that is needed for the intended calculator can already be tested before the hardware is ready ! 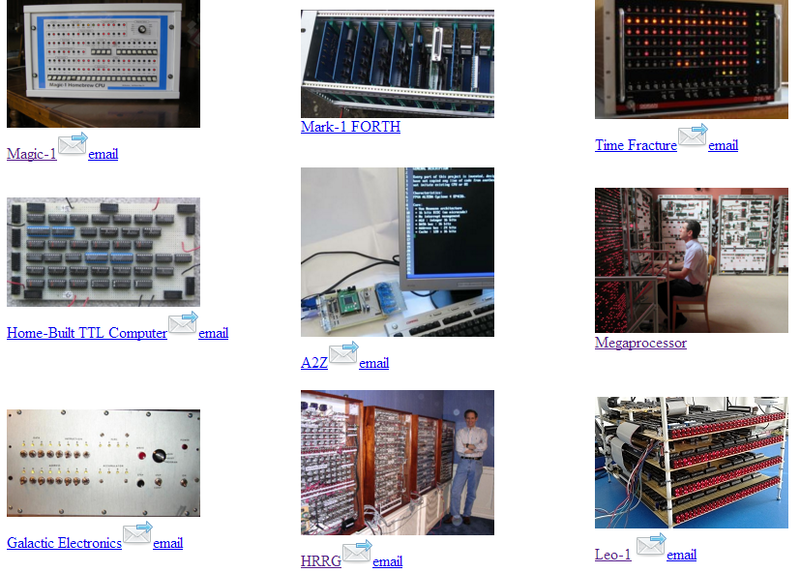 A Raspberry Pi runs the assembler-simulator in its webbrowser. It is connected to the Flash program memory with a small pcb (containing resistors for level conversion). 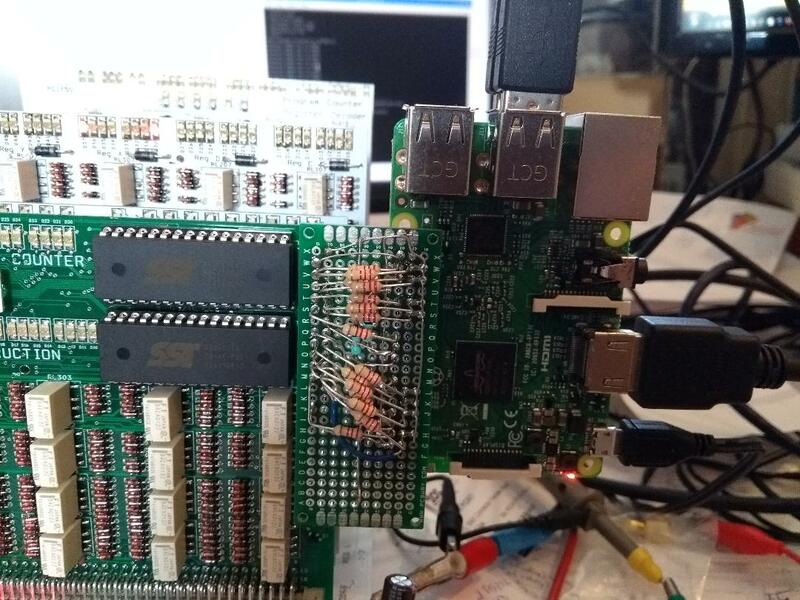 It has a small Phyton program that burns the generated binary in the two Flash memories of the relay CPU.